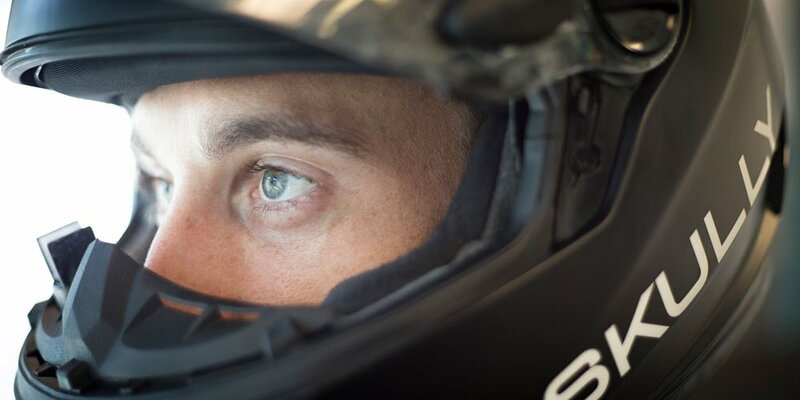 Skully, the HUD helmet that was funded through the most successful wearable Indiegogo campaign ever, has partnered with the Italian motorcycle company to help bring more information to your helmet. More specifically, the collaboration between the two companies will give Skully access to Aprilia's V4-MP, which is parent company Piaggio Group's multimedia platform, to be used on the upcoming 2015 Aprilia RSV-4 and Tuono 1100. Currently, the V4-MP system connects to your mobile device via Bluetooth and then allows you to change the electronic settings for things like fueling, traction control, wheelie control, etc. It also records data from your ride, including telemetry and engine data. Paired with the Skully AR-1, this would bring all of that data inside the helmet — but only when appropriate. From my conversations with Skully, it has always been their intent to have different modes for street riding and racing, sort of like what is offered on the new Yamaha YZF-R1. I have to imagine this data would not be made available for use in street mode, given Skully's claims that their intent is not to overload the user with data, but to provide only the pieces that can help make the ride safer (when on the street).